Homegrown brands (from India) captured the essence of real India back in the early 80’s and mastered the art of brand promise coupled with relevance. 30 Sep Memorable advertisements from “Made in India” brands. “Made in India” a unique concept given by NDA led government to promote the manufacturing sector in India and goods from India. But, is it a thought only limited to the manufacturing sector? My article is my take on how some brands and their memorable advertising & marketing communication resonated “Made in India” in early 80’s and made these brands evergreen and cult from a brand positioning point of view. These Made in India brands captured the essence of real India back in the early 80’s and mastered the art of brand promise coupled with relevance. Fresh and relevant fulfilling the brand promise. A classic example of making a brand stay relevant and long-lived in consumer’s minds. Brand Promise of the brand is Honesty, credibility built by offering the best products to its consumers. A Brand that is owned by the milk producers of Gujarat is an example as to how an entrepreneurial spirit of farmers grows to become the world’s largest cooperative federation serving millions of consumers across the world. Amul girl and it’s punchier & humor & catchy advertisements based on current affairs makes the brand stay relevant even in present times. 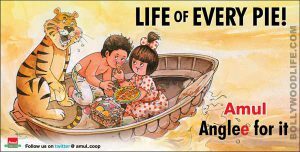 Hats off to wonderful creative team Amul creative campaigns. Another classic example of how to keep brand alive for over 35 years, a brand owned by Pidilite Industries has created an empire with its brand “Fevicol”. Kudos to its advertising agency O&M India. I am a great admirer of Mr. Piyush Pandey and his work. Brand Promise delivered i.e. a bond built to last forever. Who can forget this commercial from Fevicol which is now a masterpiece in Indian advertising? The first principle of the Brand building is “Stay true to your DNA” i.e. promise you want your brand to make to its users. Add to it a Purpose that you would like to develop in your customers. In case any of my readers or connections want any guidance pertaining to brand management, Product lifecycle, communication strategies or digital initiatives. I would be more than happy to share my wisdom and knowledge with my retail fraternity members. I am glad you liked it, Khaled. Keep visiting my blog site for retail insights and education.